Hyundai Motor’s NF Sonata topped a vehicle dependability survey in the mid-sized sedan sector in the United States, a global marketing information services company said Wednesday. According to J.D. Power and Associates, the flagship sedan of Korea’s biggest automaker ranked highest in the 2013 U.S. 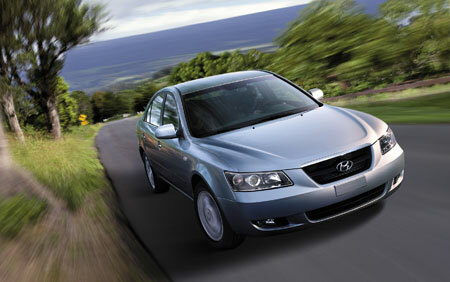 Vehicle Dependability Study, edging out rivals such as the Toyota Camry, Honda Accord and the Nissan Altima.